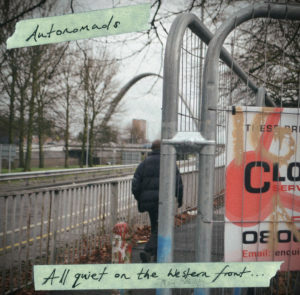 New 7” on it’s way! Cassette and 7” available soon…! Gone to press, 4 new tracks, available from Ruin Nation Records in Europe. Any distros wanting to stock this record, please get in touch with Ruin Nation or us. Limited to 500 so we haven’t done a label collaboration this time. Watch the video here… HERE !!! 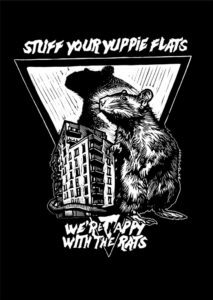 “Stuff your yuppy flats, we’re happy with the rats” is the battle cry against gentrification from Manchester anarcho/ska act Autonomads. 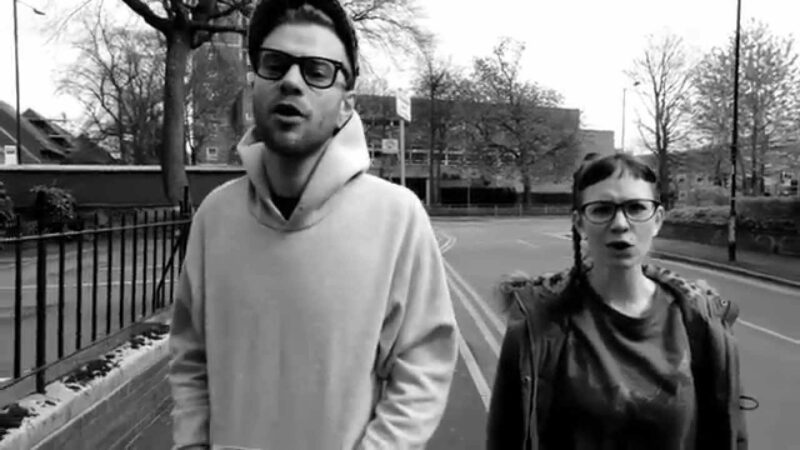 The band have released a video for their new song “All Roads Lead To Hulme” which is about an area in Manchester many of the band members have lived. Listen to it below. 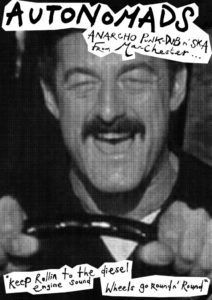 The band gave some more information on the song: “Hulme is a district of Manchester that lies just south of the city centre and has a long history. A history of deprivation, demolition, re-development and then deprivation, demolition and re-development and over and over and over. However the most important and relevant part of this districts history is its community (especially today when the government forces are doing all they can to destroy inner city communities). These communities started in the ‘slum’ terrace housing that lived and died before our time and then extended to the squatters and travellers (also before our time and is also now of our time) and now teeters on the edge of total envelopment by developers and yuppy flats that look more like tupperware boxes than homes. Over the years a number of us have lived in Hulme and too many of our friends to count have also. This song is our show of love and solidarity with a part of the city that has shaped us and a scream of rage against the gentrifiers.” The track is taken from their upcoming 7″ titled “All Quiet On The Western Front” which is due out this December.